We have been using Reiki audio CDs alongside our comprehensive Reiki manuals & books for many years now and we have found that this is a really good way to help students to get to grips with learning about Reiki. They can read text, look at images and they can listen to commentary tracks that give them the basics of Reiki, rather like listening to a Reiki teacher, but a teacher that you can listen to whenever are wherever you like, and a teacher that you can rewind and listen to again and again if you need to! Guided meditations that help students to get into the habit of working on themselves regularly, and help with giving Reiki treatments. The Reiki CDs were recorded by Taggart King, who does seem to have quite a relaxing voice, pleasant to listen to, or certainly that is the feedback that we have received from our students, anyway! These CDs are suitable for people finding out about Reiki for the first time, and for Reiki people at First Degree, Second Degree or Master/Teacher level. 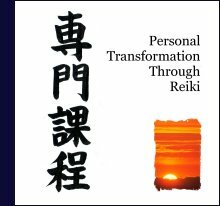 This personal transformation programme is unique in the world of Reiki, not available anywhere else. Let go of emotional blocks and limiting beliefs and create a positive future for yourself. Create a bespoke symbol for yourself and meditate on it to powerfully experience just the energy that you need in this moment. Use a special breathing method, creative visualisation and the power of Reiki to drain the energy out of unhelpful emotions like sadness, anger, fear, guilt, frustration, shame. Reduce and eliminate the power of limiting beliefs that hold you back in your life, for example: I’m not good enough, I can never get it right, I’m not worth anything, I will always be unhappy, I don’t deserve good things, I’m not meant to be here, I’m not worthy of love. Finally, (as Bonus MP3 tracks) create a positive, empowering emotion or belief, which you fully embed within you so it becomes part of who you are, and bring that positive energy into your future. This collection is ideal for people at all Reiki levels and provides a deceptively powerful, flexible and transformative system for letting go of what’s been holding you back and allowing you to begin afresh. This CD is accompanied by a downloadable PDF guide, detailing exactly how to carry out these meditations, though Taggart talks you clearly through each exercise on each track. 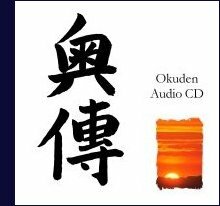 This new audio CD provides you with a series of graded exercises and meditations that date back to the origins of Usui Reiki in Japan a century ago. You’ll follow Taggart’s voice to experience the essence of earth ki and heavenly ki, and dwell on a state of oneness, all without using any Reiki symbols or mantras. Then you’ll learn how to self-heal using a powerful meditation focused on the tanden/hara. And for Reiki Masters, we include a special meditation where you can give yourself a Master-level empowerment each day. You’ll also receive two bonus tracks as MP3s: a simple but powerful energy exercise to cleanse and balance and another track to enhance your self-healing. This collection is ideal for people at all Reiki levels and provides a refreshing, simple and potent way of becoming the energies of this simple healing system. “The Reiki Meditations are fantastic. They have been invaluable to me as I find it very hard to meditate without something to guide me and help me switch off. 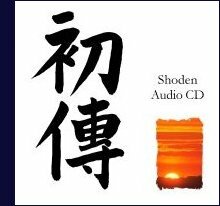 This is by far our most popular audio CD, used by Reiki people, Practitioners and Masters all over the world, and given to Reiki students on courses all over the world. 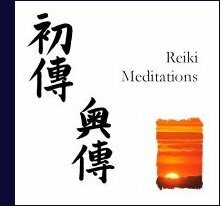 The “Reiki Meditations” CD contains four guided meditations that are essential for anyone who is serious about getting the most out of their Reiki. Start by letting Taggart King talk you through “Hatsurei ho” and Mikao Usui’s “Self-Treatment Meditation“, two daily energy exercises that will make such a difference to you. And as you progress with your Reiki, Taggart will guide you through a Distant Healing session, suitable for people at all Reiki levels, and a special Symbol meditation that echoes the founder of Reiki’s approach to working with the energy. The CD lasts for over an hour and complements the First Degree manual perfectly. To order both together, go here. Listen to this CD and it will be just like you were sitting in on a Beginner’s Reiki course with Taggart King. Find out all about Reiki: what it is, where it comes from and what it can do for you. Hear about the Reiki precepts and Mindfulness, and discover how to use Reiki for yourself and to help the people around you. For those of you who are just starting to give Reiki treatments, or people who need a bit of help building their confidence when treating others, this CD is designed for you. Taggart talks you through a full treatment, getting you started, guiding you through the hand positions and letting you know when to move on, so you don’t have to worry about anything: you can just merge with the energy and let the energy flow, with Taggart as your guide. 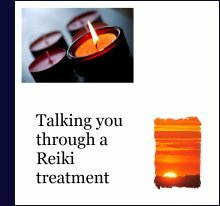 And when you order your CD, you will receive a 16-page PDF, giving you useful advice about treating people using Reiki. Listen to this CD and it will be like sitting in on a Reiki Second Degree course with Taggart King. And unlike live courses, you will be able to replay this course again and again so you don’t miss anything! Find out about about earth ki and heavenly ki and how to use them for your own benefit and to treat others. Embrace a state of oneness and practise distant healing. And finally, explore intuitive working and the power of intent. The CD lasts for over an hour and complements the Second Degree manual perfectly. To order both together, go here. 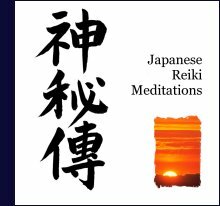 Order a pack of our four Reiki audio CDs and it’s as if one of them came for free because you’ll save £14.34. Then you’ll have the full set! Reiki Evolution Master Teacher courses are accompanied by two hour-long audio CDs and a DVD. They complement the Reiki Master Teacher manual perfectly. To order them together, go here. With these CDs it’s just like sitting in on a live Reiki Master course with Taggart. Experience the energies using Symbols and Sacred Sounds (kotodama); explore the power of Intent and Develop your Reiki Intuition; find out about Western attunements, Reiju empowerments and the Original Japanese system. This CD contains four tracks. The first two talk you through carrying out a Reiju empowerment and a Western-style Reiki attunement so that you can listen and visualise, or listen and carry out the necessary movements on a willing subject or teddy bear. This DVD provides clear video demonstrations of the sequences to be followed when giving Reiju empowerments and Western-style Reiki attunements. You can watch each stage and listen to simultaneous commentary recorded by Taggart King, Reiki Master Teacher, who has a lot of experience of talking people through these sequences! 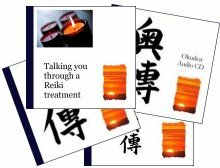 Ordering the Reiki CDs to use on your own courses? 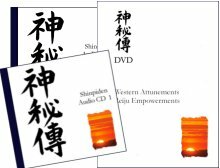 Many of our Master students, and teachers from other lineages, are using our Reiki manuals and CDs on their own courses, so we have decided to make these items available in ‘multipacks’ at a greatly reduced cost. Some teachers are both giving out the CDs to their own students, for example, and also playing the guided meditations during the course, so they can join in the meditations too! Other teachers are playing the meditations at their Reiki shares. You can order the CDs in packs of four at reduced prices by visiting the Buying in Bulk for Your Own Reiki Courses section of our web site. We will post the packs of Reiki CDs to anywhere in the world. Here you can read further testimonials from people who have purchased our Reiki audio CDs. “As a trained Counsellor (member BACP) & Reiki Master Teacher (member RHATS) I have found the CDs to be of great value to me on a personal level. They have been good reminders not only about Reiki but how important it is to take time out for yourself. “The CD was delivered with amazing speed and arrived safely. Thank you. It is a great CD and meets more than my expectations. I am a Reiki Master/Teacher and was talking through Hatsurei Ho when running my Share Group but your CD has obviously enabled me to participate at the same time….GREAT.